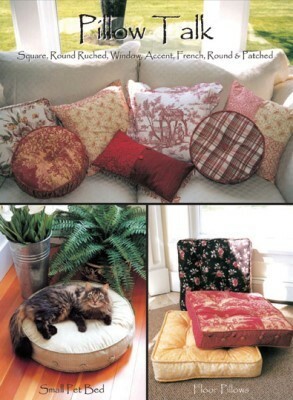 Lots of pillow sewing patterns! Patterns for a lovely collection of pillows. Large, small, round or square. All the pillows have the option of trim. Cover old pillows with a new pillow cover, button or tie closure makes it removable & washable! Many choices and options to add a special touch to your homemaking.